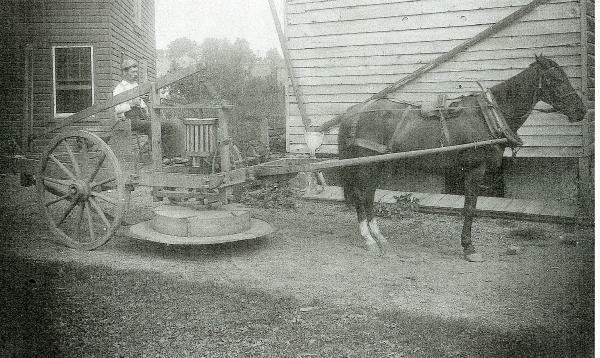 "First Mowing machine in Chester, Pa, 1822." In the late 1800s, Chester County author and genealogist Gilbert Cope took photographs throughout Chester County in connection with his historical research. Cope took this this photograph of what he labelled "the first mowing machine in Chester, PA, 1822" on August 31, 1892.